Ask us about our seasonal tire storage service! When you switch between your all-season and winter tires you can store your off-season tires with us for only $30.00 (+ tax) per season when you present this coupon. Contact us for additional details. If your vehicle is messy and needs cleaning or detailing services, come use our Honda detailing services in Goderich. Our team will give your car, truck, van, SUV or even farm and other service vehicles the loving care and attention to detail you want it to have. We'll give it the shine and smell it hasn't had since it was brand new! We have multiple levels of detailing packages so you can pick the exact services and level of cleanliness that you want for your budget. Contact us today! 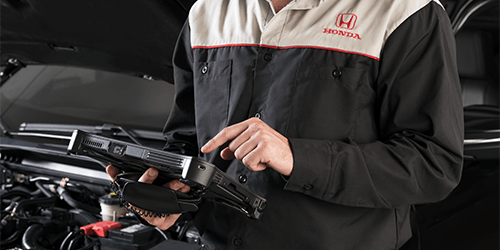 If your engine warning light or SRS warning light comes on in your dashboard, bring it in to Goderich Honda's service centre for a quick diagnosis for only $69.95 (+ tax) when you present this coupon. Contact us for more information! 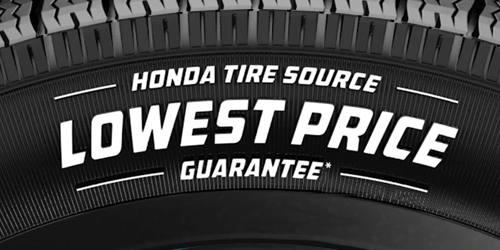 Honda Tire Source–Lowest Price Guarantee! Come to Goderich Honda to buy a new set of winter and all-season tires from all the major tire brands in all sizes you would need, with the Lowest Prices Guaranteed! If you find a lower advertised price on a set of tires within 30 days of your purchase, we will match that price on the following brands: Michelin, Toyo Tires, Goodyear, BF Goodrich, Dunlop, Firestone, Uniroyal, Hankook, Yokohama, General Tires, Pirelli and Continental. 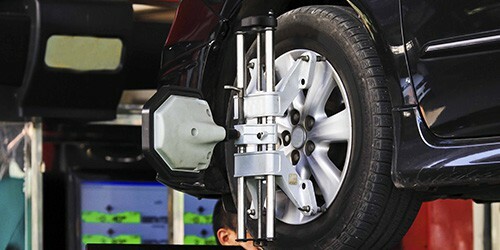 If you need to have your wheels re-aligned, bring it in to our Goderich Honda service centre to get a 4-Wheel Alignment for $99.95 (+ tax) when you present this coupon. Contact us for more details! Send me exclusive offers and promotions. View DisclaimerBy submitting your email address or phone number, you allow us, Goderich Honda, to include you on our contact lists to send you information about our products, services and promotions. You may revoke consent at any time by clicking on the "Unsubscribe" link in your email.